The change to new connector means you can connect an 5K high resolution monitor directly to your iPad alongside cameras, musical instruments and other peripherals. Apple's new iPad Pro models come with edge to edge 11-inch and 12.9-inch screens but those aren't the only displays you can use them with. Each of the models can now simultaneously drive an external high-resolution display of up to 5K. "A high-performance computer deserves a high-performance connector and so with these new iPad Pros, we're moving to USB-C," announced Apple's vice president of hardware engineering, John Ternus, at the company's October 30 event. "This brings a whole new set of capabilities to the iPad Pro like connecting to accessories that change how you use your iPad: cameras, musical instruments or even docks. Or connecting to high resolution external displays up to 5K." He also said that the iPad Pro could "connect to data accessories and displays at the same time." 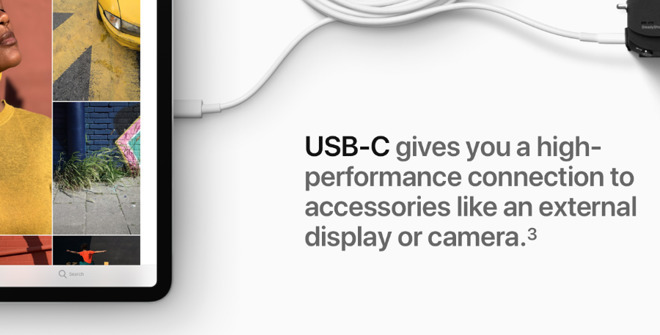 Apple says that the new USB-C connector, which replaces the previous Lightning one, supports a 5K monitor plus USB 3.1 Gen 2 high-bandwidth data transfers. The USB-C "alternate mode" protocol supports DisplayPort 1.3, which allows for 5120 x 2880 resolutions on monitors that will support it — but those are few and far between at the moment. 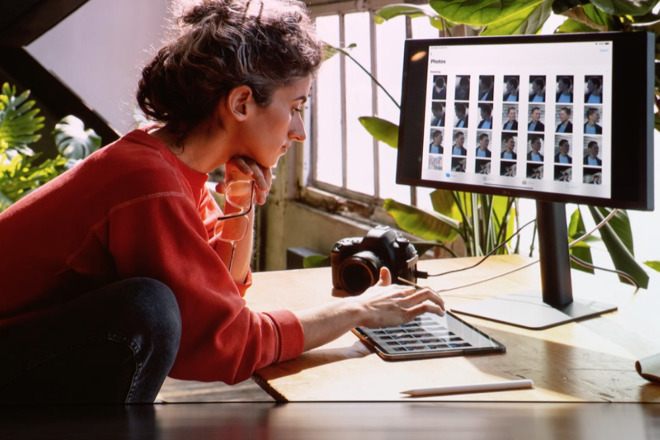 The LG UltraFine 5K display uses Thunderbolt 3 and not USB 3.1 type C, so as such, it cannot be used at 5K resolutions with the iPad Pro. Both the iPad Pro 11 inch and 12.9 inch models are now available to order from $799 and $999 respectively. The iPad Pro models do not ship with USB-C display connector cables, but an Apple spokesperson at the Apple event says that it complies with USB-C "alternate modes" allowing for any USB-C to HDMI or USB-C to DisplayPort cable to be used for connectivity.